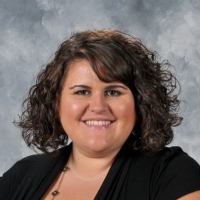 Congratulations to Ms. Shanna Akery, a Gifted & Talented (GATE) teacher at Whitesburg P8, who has been selected as this week’s HCS Changemaker! Ms. Akery says that she has basically been a teacher since she would come home from kindergarten and teach her little sister all that she had learned each day. She also credits a fantastic third-grade teacher which really solidified that path for her. In middle school, she had another great teacher in the gifted program who instilled a desire to help students who so-often get left behind when it comes to special education services. She particularly remembers a play she was involved in about Greek mythology and says that it taught her the power of fully immersing students in the learning experience. When she isn’t teaching, Ms. Akery enjoys spending time with family and seeing as many movies as she can. She says she is a huge movie buff, so she always tries to see all the big ones, but she particularly enjoys movies that are based on books. She is also a big St. Louis Cardinals fan, and she spends a lot of time keeping up with the team and going to games with her family during the season. She enjoys reading but says that she mostly reads young adult literature so she can share it with her students. Ms. Akery says that it’s most important that her students know they are loved and supported. She also wants to instill a love of learning in them, so that they continue growing throughout life. Dr. Scott says that she is a great listener and she helps students learn how to modify their own ideas through problem solving. Ms. Akery creates a safe space where students can express themselves and approach learning in different ways. It’s clear that she is having a profoundly positive impact on her students each day.